8. Accessibility and Beyond: Designing Consumer Health IT for Individuals with Disabilities Rupa S.
11. Current Roles and Applications of Electronic Health Record in the Healthcare System Florence F.
older adults, we explored the types and management of advanced directives and emergency information among older adults. coded interviews looking for themes using a Grounded Theory approach. Discussion: Emergency planning materials are an important aspect of health information management among older adults. be given to how this information would be made available to ﬁrst responders. educate and support family members and other informal caregivers in their care of older adults. 20% for numerous health conditions. ticipation in managing his/her health to achieve desired health goals. patient: Sampling was used due to resource constraints. Records without a patient goal were tabulated. PS added new codes that emerged to the coding scheme that KR reviewed. informative to their disciplines (clinically important). why they are asking patients about their goals. information in the treatment of home care patients; however, a Norwegian study found diﬀerences in perspectives. research should include perspectives from other disciplines, such as physical therapists. research would also be to identify associations between elicited patient goals, nursing interventions, and outcomes. images/uploads/AHHQI_2015_Chartbook_FINAL_October.pdf. (Accessed on 05/06/2016). 2015.
patient engagement and health behavior change: a systematic review of the literature. JMIR medical informatics 2016;4.
lating evidence into action. Health aﬀairs 2001;20:64–78. discharge summaries: a cross-sectional study. In: Nursing Informatics. 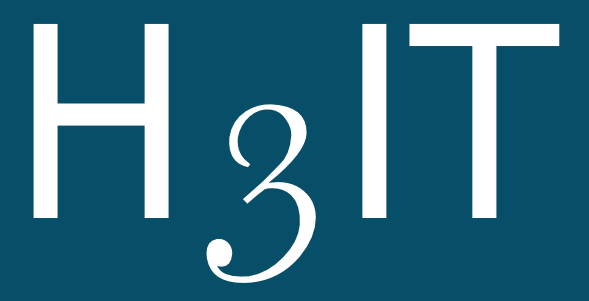 2014:335–341. mergency room visits due to falls constitute the largest group of potentially avoidable events in home care. death for home care patients who are often elderly and vulnerable. agement (FRM) becomes critical in improving the quality of care provided by home health agencies (HHAs). because they are often the least utilized resources in healthcare. an enabler role in improving the quality of care. evidence prior to this study. method was used to analyze the raw data resulting in a number of recurring themes. comprehending the FRM advice. This combination requires an even higher degree of caregiver involvement in home care. FRM information easily available as well as keep the patients and their caregivers informed of the care plan and progress. can help clinicians address FRM-related questions in a timely manner, such as those about durable medical equipment use. to use the adopted solutions. increase patient and caregiver engagement in FRM. Health Agency Patient Outcome, Process and Potentially Avoidable Event Reports [Internet]. https : / / www . cms . 3. Stevens, JA, Corso, PS, Finkelstein, EA, and Miller, TR. The costs of fatal and non-fatal falls among older adults. 4. Ellenbecker, CH, Samia, L, Cushman, MJ, and Alster, K. Patient safety and quality in home health care. 2008. 5. Slack, WV. Cybermedicine: how computing empowers doctors and patients for better health care. 1997.
ment and positive technology can help patients achieve a more active role in future healthcare. 2013. Qualitative Exploration of Clinicians’ Perspectives. Home Health Care Management & Practice 2016;28:241–249. 8. Creswell, JW. Qualitative inquiry and research design: Choosing among ﬁve approaches. Sage publications, 2012. 10. Srivastava, A and Thomson, SB. Framework analysis: a qualitative methodology for applied policy research. 2009.
ecological approach. Patient Education and Counseling 2017;100:8–13. patient participation and engagement? Health expectations 2007;10:259–267. engagement. Archives of physical medicine and rehabilitation 2013;94:2034–2035. health agency increased the rate of in-home completion of regular visit notes by more than 35% (from 60% to over 95%). with more than 5,000 regular visits per quarter, with a current completion rate of end-of-day-shift documentation near 68%. performance dashboard improves their in-shift documentation completion rate. performance feedback on performance improvement. provided by paid, non-skilled care providers such as home care aides. State support consumers with meal preparation, personal care activities, and light housekeeping. State passed a law that required all home care aides to take standardized training courses and pass a certiﬁcation test. individuals that utilize their services. dimensions, such as topic, thematic content, and general sentiment. aides was 45 years (range 26 to 64 years), and the average age of the home care clients was 53 years (range 31 to 71 years). home health aide training program. 1. Forum on Aging, D et al. The Future of Home Health Care: Workshop Summary. National Academies Press (US), 2015. 3. Oﬃce of Program Research Summary of Initiative 1163 Olympia, WA: State of Washington House of Representatives. 4. Choitz, V, Helmer, M, and Conway, M. Improving Jobs to Improve Care. Washington DC: The Aspen Institute. 2015.
toms resulting from chronic health conditions, reduced mobility, social isolation and cognitive decline. their living spaces present a unique opportunity to improve their health and wellness. and eﬃcient manner so that older adults themselves can access and interpret information about their activities of daily living. Things platform for connected devices. (including residing in an independent living facility), able to give informed consent, and able to read and write English. luminosity, and humidity), and a Foscam IP camera. Participants have to select at least one sensor to be eligible for the study. participants to provide feedback on iterations of the design and also to generate ideas for alternatives to the visualization. baseline and exit interviews. The University Institutional Review Board approved all study procedures. views. The mean age (SD) of the participants is 91 (4.9) years old. All of our participants have a Bachelor’s degree or higher. on the iterative feedback provided by our participants. Discussion: The innovation brought by the smart home technologies can signiﬁcantly impact the future of home healthcare. data is key to the success and ultimate adoption of smart home applications to support aging in place. among older adults. Journal of health and social behavior 1993:89–104. 2. Demiris, G, Hensel, BK, et al. Technologies for an aging society: a systematic review of “smart home” applications. Computing Technologies for Healthcare (PervasiveHealth), 2010 4th International Conference on-NO PERMISSIONS. Proceedings of the 2012 ACM Conference on Ubiquitous Computing. ACM. 2012:1108–1113. homes. In: Proceedings of the 2013 ACM conference on Pervasive and ubiquitous computing adjunct publication. ACM. by laypeople to support health and health care management) to address this shift in health care. a demographic focus of developers. well as accessibility challenges of mHealth apps and how to overcome them in future design. the telephone or communicate in person. Their networks tend to be small (range: n=3-47, mean: n=11, median: n=8). robust dataset and more results to present. study is that the design guidance to be generated is anchored in one technology platform and three speciﬁc mHealth apps. 1. Bureau of Labor Statistics. Career guide to industrie. 2010-11. American Medical Informatics Association 2001;8:309–316. 5. Gibbons, MC, Wilson, RF, Samal, L, et al. Impact of consumer health informatics applications. 2009.
of the American Medical Informatics Association 2009;16:550–560. consumer-centered health communication. Journal of the American Medical Informatics Association 2008;15:473–483. with and without disabilities. The Gerontologist 2013:gnt166. cognitive impairment and technology issues. International journal of medical informatics 2014;83:264–272. 11. Brault, MW et al. Americans with disabilities: 2010. Current population reports 2012;7:–131. were prioritized for care) and on average readmissions rates and time to readmission. administrative records. This study received IRB approval from the homecare organization. outcomes trended in the expected direction. further study is needed with a larger sample under randomized conditions to eliminate confounders. hospital readmission. Geriatric Nursing 2014;35:S37–S44. a key component of the IHI triple aim initiative. evidence based guidelines for the care of CHF patients. to provide that feedback. Data was analyzed using thematic analysis. graphs. Numeracy was measured using the expanded numeracy scale. and understanding of the information presented in the visualized dashboard. workﬂow and communication between visits. low literacy and numeracy were less able to understand information presented as a table. their comprehension of information presented in visual formats. improving care processes and patient outcomes. 1. Ivers, N, Jamtvedt, G, Flottorp, S, et al. Audit and feedback: eﬀects on professional practice and healthcare outcomes. 2. Berwick, DM, Nolan, TW, and Whittington, J. The triple aim: care, health, and cost. Health aﬀairs 2008;27:759–769. 4. Lipkus, IM, Samsa, G, and Rimer, BK. General performance on a numeracy scale among highly educated samples.